Here you have a new powerful mineral: Mithril. Mythril 1.7.2 and 1.7.10 is a mod that gives you another reason to travel to the dimension of “The End” which is the one that is usually the less visited for all the Minecraft players..because apart from killing the dragon, there isn’t much more to do. This mod adds a new mineral for this dimension, it is called Mithril, a mineral that allows us to develop equipment for our character such as weapons with deafult enchantments, and even other objects such as rings and amulets that give us extra advantages for our character. In addition, the mineral also is used to create various decorative blocks. 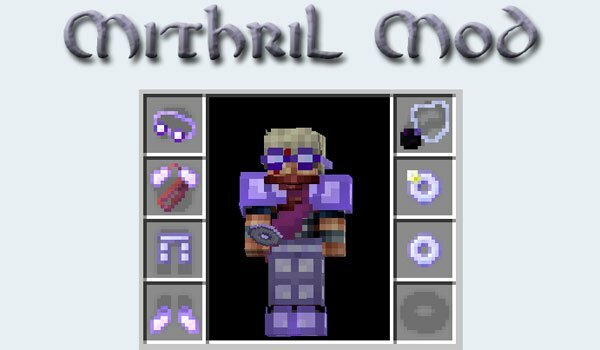 How to install Mythril Mod for Minecraft 1.7.2 and 1.7.10? New and interesting mineral to develop new items, weapons and decorative blocks!